From various discussions with analysts, it has been found that in the past, 70% of European businesses preferred the MNS model but only 30% of US businesses chose MNS over DIY. The recent Gartner paper indicates that enterprises are increasingly leaning towards the MNS model citing that MNS adoption has risen globally by 20% since 2016. MNS has existed for over 25 years. What drives this recent change in customer’s preference? 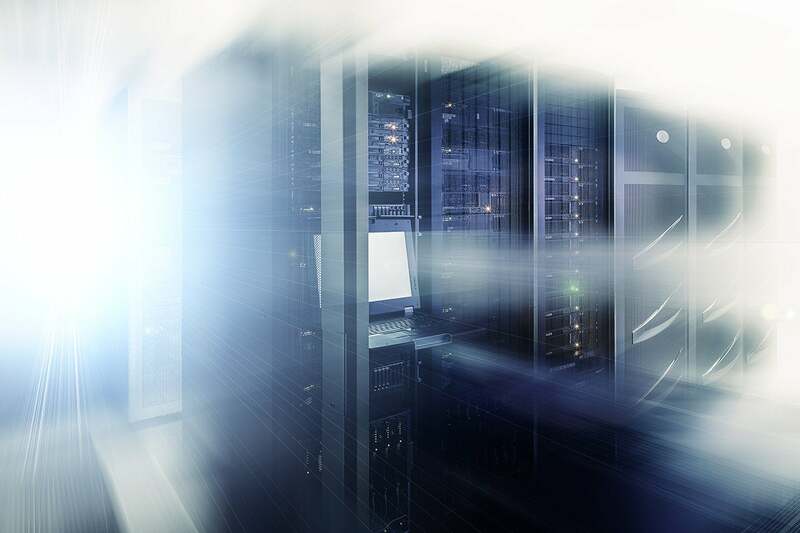 The on-premises centric network design focused mostly on physical locations – such as data centers, branches and regional hubs – are no longer compatible with the digital business. The enterprise’s assets reside in a hybrid compute environment that includes multiple cloud data centers. These data centers are accessed by both mobile users and office users, globally. Enterprises are investing in new technologies for WAN automation, such as SD-WAN. They are expanding their connectivity portfolios from MPLS to Internet-based connectivity (broadband and LTE). Such technological changes boost the network capacity, resiliency and availability while reducing the cost per Mbps. The expectations of the business from IT have been impacted by changes in both; the consumer and business realms. Apparently, in our personal lives, we have been getting used to high-quality self-service engagement models to get almost anything done in minutes. Self-service has also made its way into the workplace through DevOps: the ability to instantly access and compute the storage resources on demand. Waiting or requiring manual intervention, for anything, is becoming an exception these days. MNS seems like a good way to address these changes by shifting the WAN overhaul into the hands of service experts. But, will the traditional MNS, delivered by a telco, provide the right mix of self-service, agility and expertise, as expected by the digital business? Gartner has indicated that the enterprise’s preference of giving MNS responsibility to legacy telcos is shifting in favor of non-traditional service providers. What is the reason behind this delegation? The telcos are built around a process that promotes stability and availability above all other service characteristics, like speed and agility. They provide little visibility and control to the end customer and require the support tickets to be created for almost all the changes. This way, telcos can achieve total control of the network and reduce the downtime risk marginally. But, in this era of fast-changing business conditions, customers want both availability and speed to go hand in hand. Furthermore, since the networks are composed of multiple components from 3rd party providers, deep component level expertise is not readily accessible, leaving telcos heavily dependent on their solution providers. This is particularly true for newer components, like the edge SD-WAN. This result is slower troubleshooting and longer recovery from outages. In a nutshell, the telco architecture limits their ability to deliver self-service, quick resolution and evolve the technology stack. In that context, you simply can't expect your network to meet the “DevOps standard” of speed and agility. Cloud-based providers have no last-mile agenda. Unlike legacy MPLS telcos, they are transport agnostic. The customer can choose any type of the last mile with multiple redundant links and at varying degree of quality. These can include 4G/LTE transports that can overcome physical damage at the customer premise and provide an instant-on option for new locations. Besides, sites can be launched with any form of last-mile connectivity without waiting for the telco-provided premium connectivity option. Cloud-based providers leverage new choices for global connectivity (“middle mile”). Unlike global telcos that rely on their expensive fibers, they create on an overlay on top of multiple, SLA-backed and Tier-1 connectivity providers. Significantly, by buying massive capacity at wholesale prices, which are not otherwise available for most enterprises, the cloud-based provider maintains a very competitive price point. And, the use of multiple SLA-backed providers creates a level of core resiliency. Contrarily, this is impossible in case of legacy telcos and predictable performance is unavailable with the Internet. Cloud-based providers use its own software stack. Much like Amazon AWS, the cloud-based provider fully owns and controls its technology. It includes full edge-SD WAN capabilities and an affordable global private backbone with built-in enterprise-grade network security and WAN optimization. The software stack is globally distributed over dozens of Points-of-Presence (PoPs) that seamlessly extend the full set of capabilities to any customer resource. Additionally, the platform ownership allows the cloud-based provider to address customer needs through rapid software evolution. Therefore, they can totally control service delivery and optimize the network end-to-end. Cloud-based providers expert support is built-in. A fully owned, cloud-based service enables the optimal alignment of the support, operations and engineering teams. All teams directly work on the service, using the full organizational knowledge to rapidly address service disruptions. This is particularly crucial when the outages aren’t caused by mere operational hiccups but also result from software bugs. Support teams can use the engineering-level tools to perform a very detailed diagnosis; the engineering benefit by gaining full access to the problem. As a result, this minimizes the time taken to resolve the issue. This is a contrast with telco-to-vendor communication that needs to occur every time a possible bug is encountered. Cloud-based providers were designed for the cloud. A big driver for the SD-WAN deployment is to optimize cloud-bound traffic. Since the cloud-based provider lives in cloud data centers that are shared by many cloud providers, its global cloud network seamlessly optimizes traffic from any customer location going to cloud destinations. This means, that directing cloud traffic through the cloud-based providers will actually provide better performance than the primary MPLS and not just the basic value of MPLS offload. Cloud-based providers provide flexible management options. For maximum agility, self-service portals enable the customers to make policy and configuration changes to the network. They keep the network technology stack current and provides 24x7 monitoring. Customers can opt for a fully managed service model or retain some or most of the WAN control. The customer tendency towards MNS is understandable in regard to the pace and scope of changes to the WAN. Ideally, meeting the business objectives of speed, agility and cost containment boil down to two architectural approaches: the legacy telco vs. the cloud-based provider.